You can start moving in a fresh direction with a life coach. Coaching gives you insight and encouragement to help you follow your dreams. With this expert guidance you become empowered. The fulfilling life you crave is possible. Coaching shows you how to open doors and reach new happiness. Many different types of coaches practice in Dublin. You&apos;ll be able to find the right coach to bring out the best in you. Life coaches have a variety of tools available to empower you. Coaching helps you transform your life by figuring out what is not working for you anymore. Then you focus on boosting your confidence with positive thinking. Often simply having someone listen to your thoughts and feelings takes weight off your shoulders. But a life coach gives you more than a sympathetic ear. The coach helps you set new goals and go after them. You&apos;ll make a plan together that puts you in control. Moving forward with a renewed purpose gives you clarity. You&apos;ll gain new excitement about the possibilities in life. "Always forgive your enemies; nothing annoys them so such. " When the famous Dubliner Oscar Wilde said this he intended clever revenge. But there&apos;s a lot of power in forgiving your enemies. With coaching you&apos;ll forgive the enemies inside yourself and move on. Those limiting beliefs that are keeping you down will be left behind. Whether your old negative thoughts become annoyed, you&apos;ll never know. You&apos;ll be enjoying a future with less stress and more success. With coaching you can set the agenda for your life. Careful thought, honesty and self belief are the steps to personal development. A life coach guides you through self discovery. When profound insights emerge, the coach helps you make the most of them. Don&apos;t let yourself stay stuck with bad emotions. Whether you hate your job or can&apos;t find love, you can&apos;t let your mind stew in negativity. It takes a toll on your spirit and robs you of joy. Life coaching sets you on a positive path. Just because Dublin is famous for pubs, doesn&apos;t mean you should drown your sorrows. Open yourself to success instead and then go celebrate. Learn how to apply that easy-going Dublin attitude to yourself. The average Dubliner gladly gives directions to a stranger and offers a friendly chat too. A life coach teaches you how to treat your own thoughts with the same respect. This makes you value your dreams and talents so you can reach your goals. Don&apos;t waste years feeling discontented. 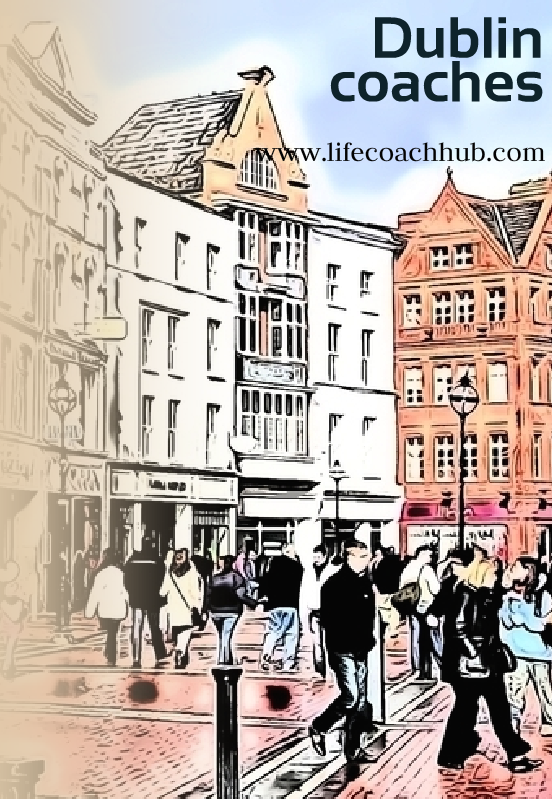 With life coaching you&apos;ll give your life direction. Purpose and progress are needed so you can be happy and successful. At any stage of life, you can reassess and achieve positive goals with coaching. Nurture your inner peace. Life coaching keeps you from letting things go. You won&apos;t keep pushing back your desires when a coach is urging you forward. Joy comes from expressing yourself.